Today we continue our look at Milwaukee tavern cards with this exemplar from 1932. 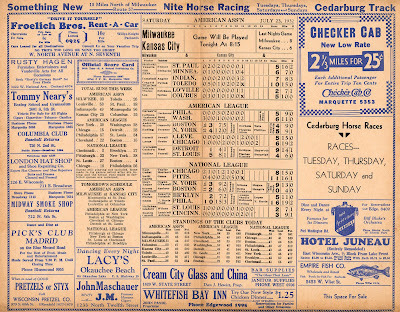 This scorecard was distributed to Milwaukee taverns on Saturday, July 23, 1932. 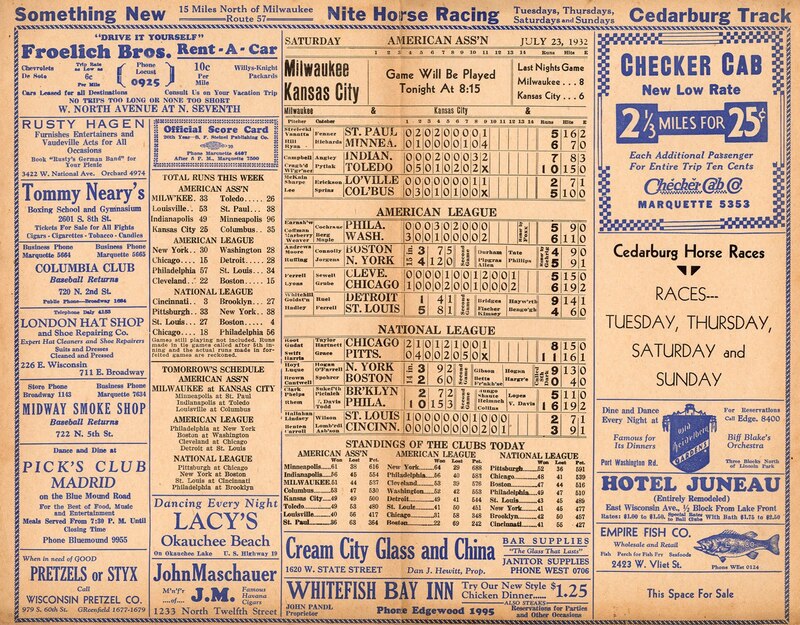 While the Brewers were on the road in Kansas City, these tavern cards were keeping the folks at home up-to-date on the scores. Most notably that the Brewers had defeated the Blues 8-6 the previous evening. This particular card, like the 1927 card we looked at earlier, was published by the B.F. Steinel Publishing Company. 1934 marked their 26th year of publishing these tavern cards. This card has additional notations on several of the major league games (half of which were double-headers). In the second game of their double-header against the Red Sox, Lou Gehrig hit one out of the Big Ballpark in the Bronx. Meanwhile, the Giants and Braves were playing their own pair of games at Braves Field in Boston. Their second game was called in the 8th inning on account of darkness. Pretty good day for baseball fans in the Big Apple, unless you were from Brooklyn; the Yanks and Giants won a combined four games but the Dodgers dropped two in Philly. 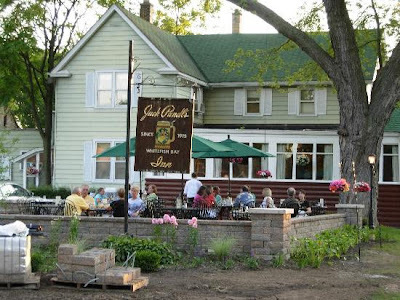 I love the Whitefish Bay Inn. John Pandl, the propritor, died in a fall just three months after this tavern card was printed. 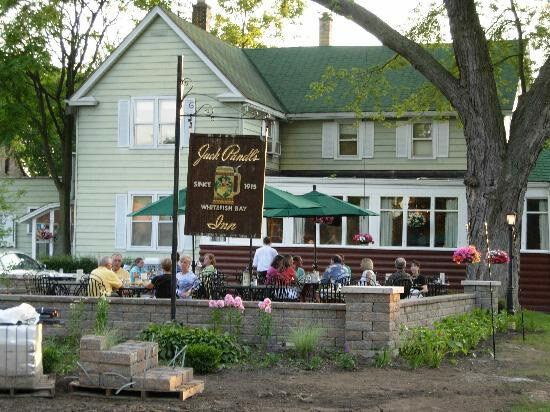 The restaurant is still in the same place, now owned by his grandson.